It may or may not be surprising to you that an LA Times article pegged the number of items in the average home at 300,000. Clearly, most homes aren’t designed to accommodate the average number of items with adequate storage. 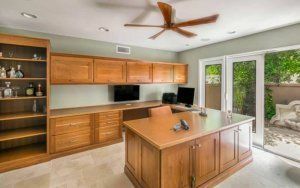 When you make the decision to embark on a complete home renovation in Scottsdale, you can work with your contractor to integrate storage solutions that take advantage of your home’s square footage without compromising living space. Storage considerations come up from time to time in this blog for a good reason, not the least of which is its importance in the clean look and functionality of your home. It’s important to remember that there are many options to make your space functional and appealing while planning your renovation when you consider it along with other design considerations. For example, there are numerous useful storage options that utilize the space beneath staircases. Shelving can be readily installed and left open or covered with specially designed cabinet style doors. You’d be surprised by how much can be accommodated in this usually wasted space. When it comes to storage solutions, hallways are often underutilized, along with various nooks and crannies. From baseboard storage in the kitchen to underfloor storage in guest rooms or other rooms that aren’t used every day, you and your contractor and designer can tap into the many different possibilities. By working with your contractor during the early phases of your complete home renovation in Scottsdale you can enjoy a well-organized home that meets all of your aesthetic and living needs.